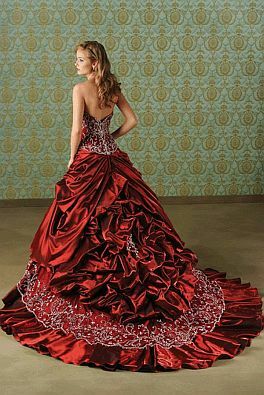 The choice of red for the details of your wedding is quite original and even daring, but if you want to completely surprise all your guests, and even your boyfriend, you can do wearing a wedding dress, red or with details in This color. Here are some of the best models of red wedding dresses. This first dress strapless, has a delicate red border and tail of the same color. If you prefer something even bolder, this model is very interesting, it is a red dress with white accents applications and at the waist and legs. 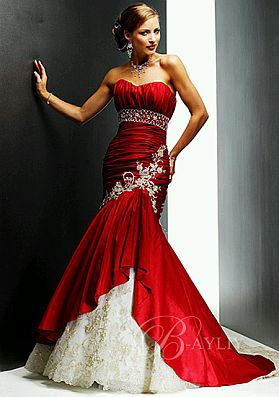 Wedding dress and strapless mermaid cut with a red wide belt at the waist. 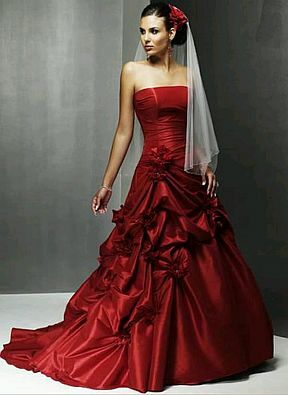 Amazing strapless red wedding dress, perfectly complements the delicate white veil. 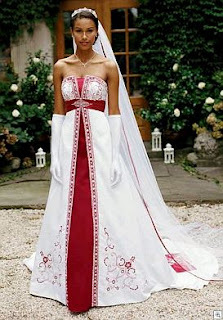 Romantic and youthful white wedding dress trimmed at the top and bottom in red. 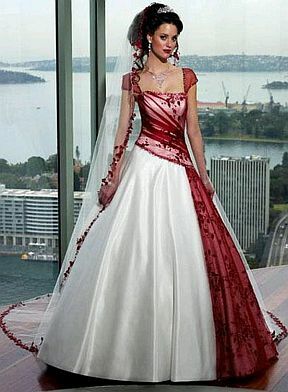 Stunning red wedding dress, with a very wide skirt and white embroidered details on the back and the bottom of the skirt. 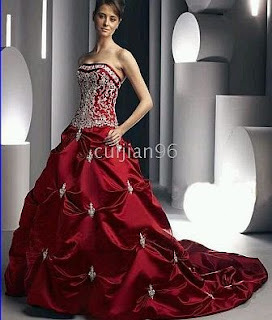 Another red dress, a skirt also quite spacious, and fully embroidered chest with white, white appliances are also appreciated on the skirt. Beautiful wedding dress white with red chiffon embroidered on the chest and skirt, and a red border perfectly complements the white veil. 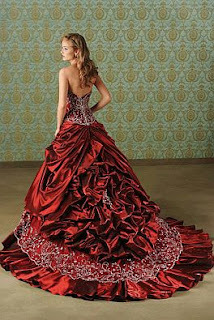 Again, if you prefer something completely red, below, this model corset chest and full skirt is very flattering. Finally, if you like Indian style, this dress is the one, this is a wedding dress with embroidery white and red belt, and in the middle you can see the red color quite delicate and feminine.